Waterproofing and leak sealing is effectively about protecting areas that are subject to water ingress, whether periodically or continuously. This tends to apply to subterranean structures such as basements, piles, foundations, manholes, car parks, tunnels and tanks. Prestec has considerable expertise in the field of waterproofing and leak sealing and carries out remedial work throughout residential, commercial and industrial sectors throughout the UK, on projects large and small. To ascertain the nature and severity of the problem, Prestec will carry out a site assessment and provide recommendations on the most suitable system to achieve the best results. 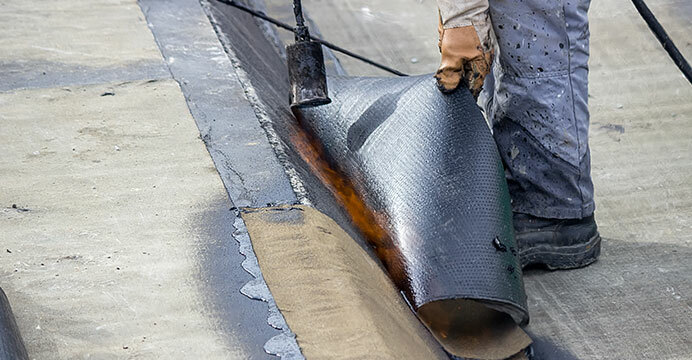 Depending on the job, this could involve applying slurry coatings by brush or spray, a waterproof render or screed, sheet membranes or the latest leak sealing/injection techniques. For example, when waterproofing a basement, ground next to the foundation should slope away, downspouts should discharge water and shrubs or plants should be kept at least a foot away, so that water doesn’t pool, which in turn can cause building materials to rot. Inside, walls should be treated with a waterproof render or screed, cracks sealed and, if required, a water repellent and/or waterproof coating applied. A further solution is to inject clay from the outside, filling any voids and permanently sealing the basement. This technique can also be used to waterproof tunnels, manholes, dumps and elevator pits. Tunnels can range from small service ducts and pipelines to large-bore tunnels, and obviously waterproofing methods will vary depending on the construction method, type of ground and level of dryness required. With many years’ experience in this field, Prestec will advise on the optimum solution and carry out all remedial work required. For further information, please contact Prestec on 01283 248128 or to email us please click here.